This article demonstrates how to remove previous device connections from the SerialMagic Gears device manager. 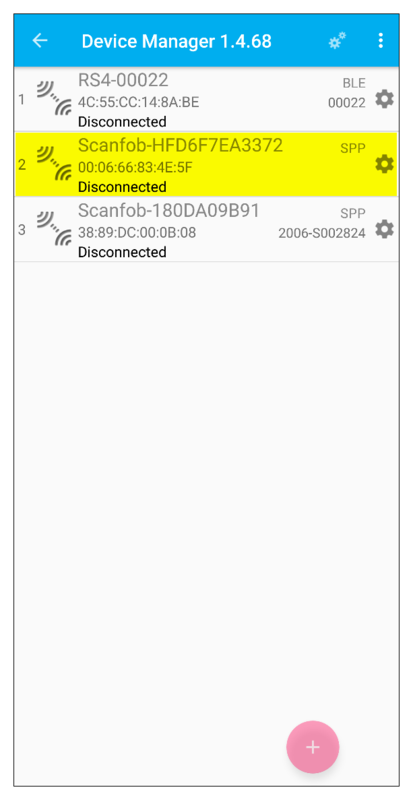 This is often a necessary step when troubleshooting a connection problem with SerialMagic Gears and a Bluetooth scanner, especially when switching from Bluetooth SPP to Bluetooth Low Energy (BLE). This section assumes that you have SerialMagic Gears open and at least one existing device/scanner connection. 1. Access the Device Manager view by swiping right, then tapping on Device Manager. 2. Long tap (approximately one second) on the device/scanner connection you want to remove. 3. 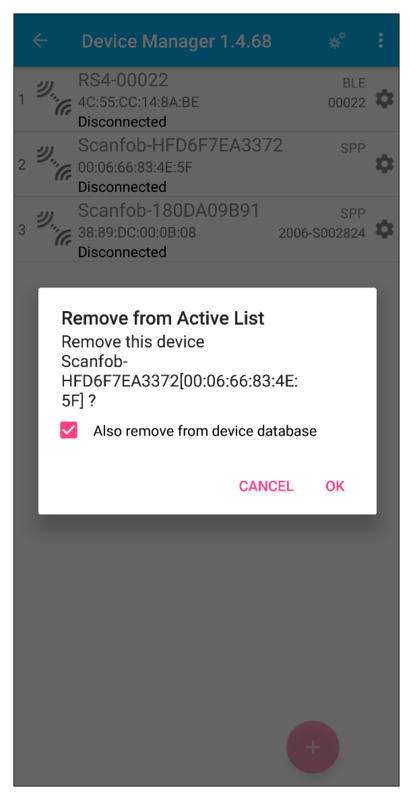 Make sure that Also remove from device database is checked. Then tap OK. The device is now removed (and no longer visible) from the active list. 1. 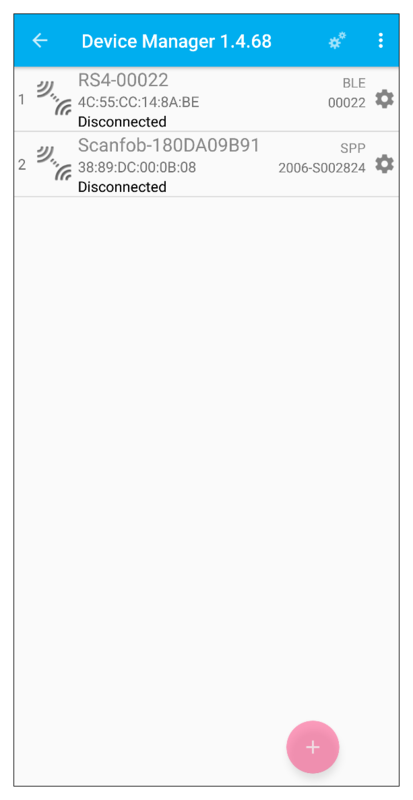 Access your Android device's settings. We are using a Samsung Note8 (Android 7.1) for this tutorial—your unique device's settings may vary depending on the manufacturer and Android version. 2. Access your Bluetooth settings. For Samsung devices, navigate to Connections → Bluetooth. 3. Locate your scanner's listing beneath Paired Devices. 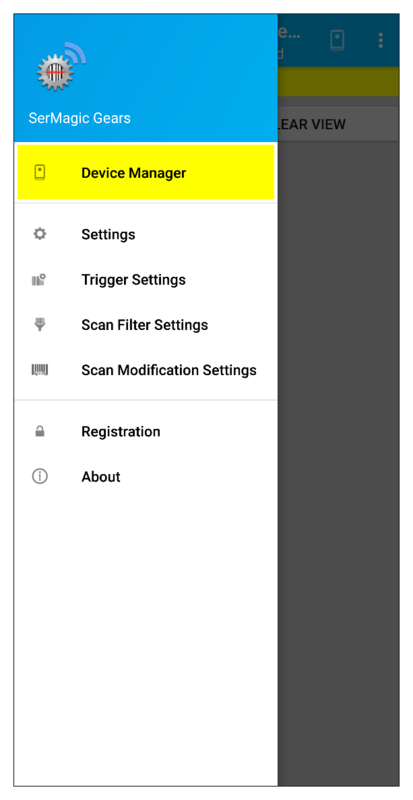 Then tap on the gear icon to the right of your scanner's Bluetooth name.